more on other activities. 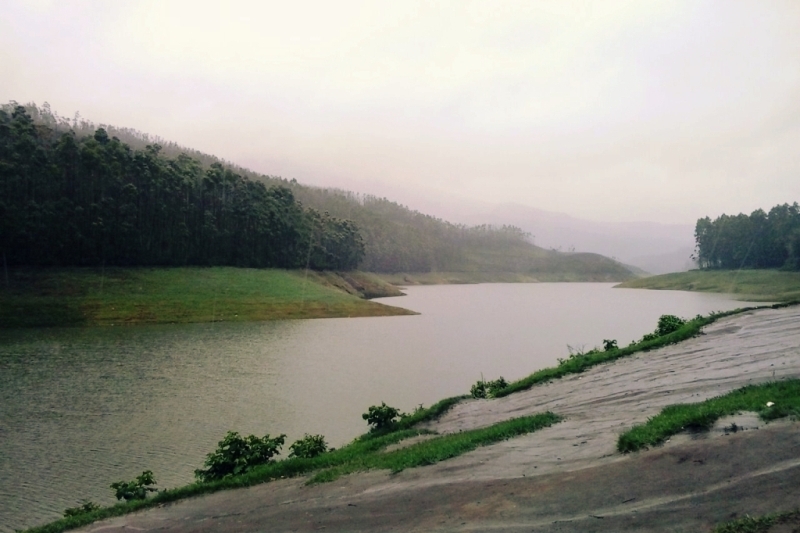 I inquired 2-3 three resorts in Kerala and asked for the weather conditions in Munnar, they said it’s pouring heavily but mostly in second half of the day first half are ok and sometime sunshine. I had no choice but to start liking the rainy season as for romance you need rains and most of the Hindi movies have proved it. My first honeymoon destination was fixed……now I started calling yatra.com, make my trip, Kerala paradise and several other tour & travel agents to economize my travel expenses and get the best deal. 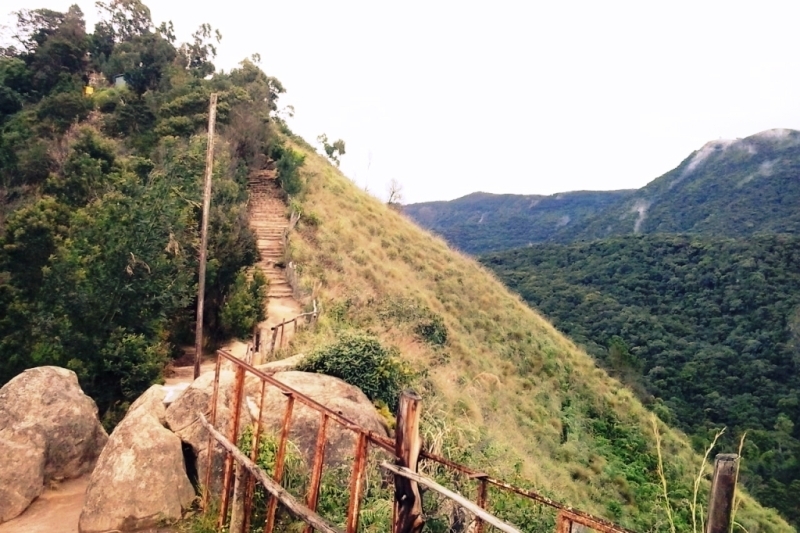 But soon I realized I did not do my homework, then I visited tripadvisor and started surfing different resorts in Munnar. I talked with 3-4 resorts; I talked mostly about the location, ambience and facilities. 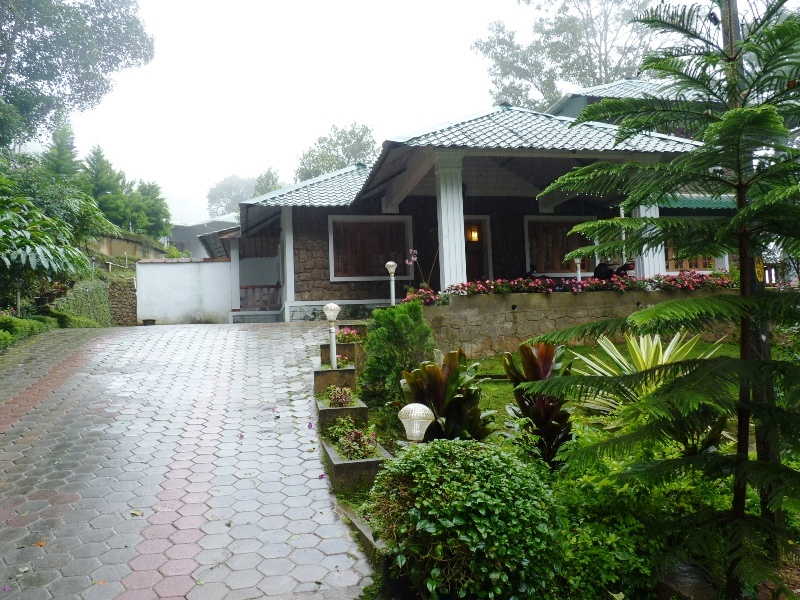 Finally I zeroed on Bracknell Forest resort in Munnar. Again I talked with different travel agents for Bracknell Forest resort but finally after talking with the resort manager Mr. Jins I fixed rates with him and paid the advance. He was a nice guy he even told that my full money will be refunded if I did not satisfy with the hospitality. 9:15 am we landed in Kochi airport. The first glance of traditional architectural airport building in the backdrop of coconut trees plantations gave us the more soothing and fresh feeling. Our driver Anish was standing with the plaque card outside as we exited the airport, he was quite but well-mannered. We started capturing some snaps at airport as he went to bring the taxi. 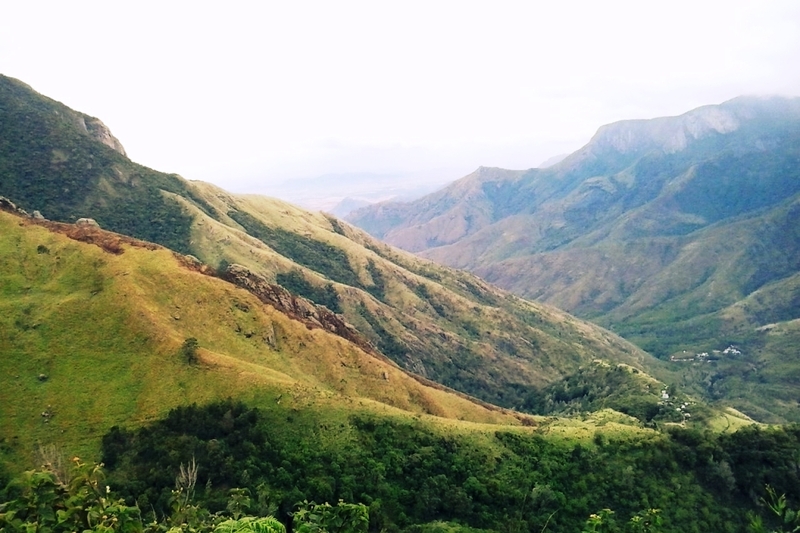 Anish told that it will take three and half hours to reach our resort at Munnar; we were excited and boarded the taxi. 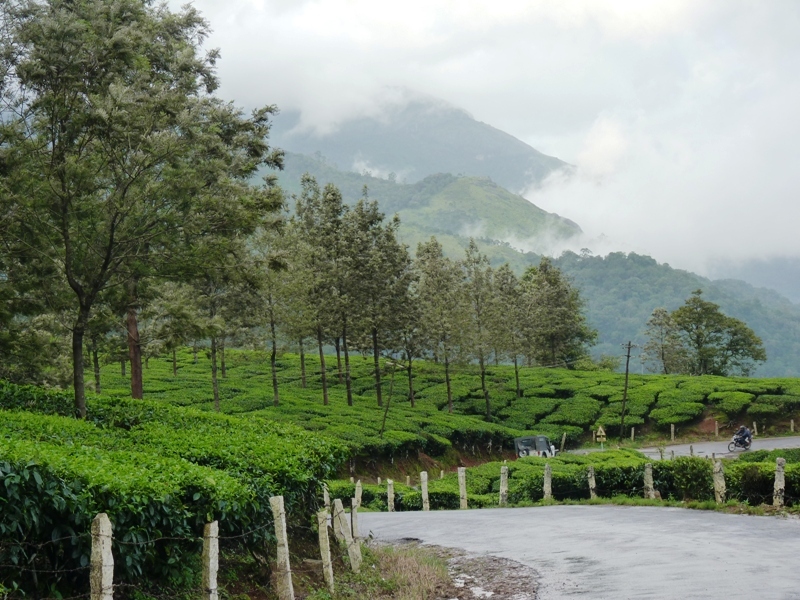 Kochi to Munnar is around 130 km and since half of the journey will be in hills and there are some beautiful waterfalls on the way therefore it take nearly four hours to reach. Anish stopped at a traditional Kerala style restaurant; we had one north Indian thali and a traditional south Indian thali to fill our empty stomach. 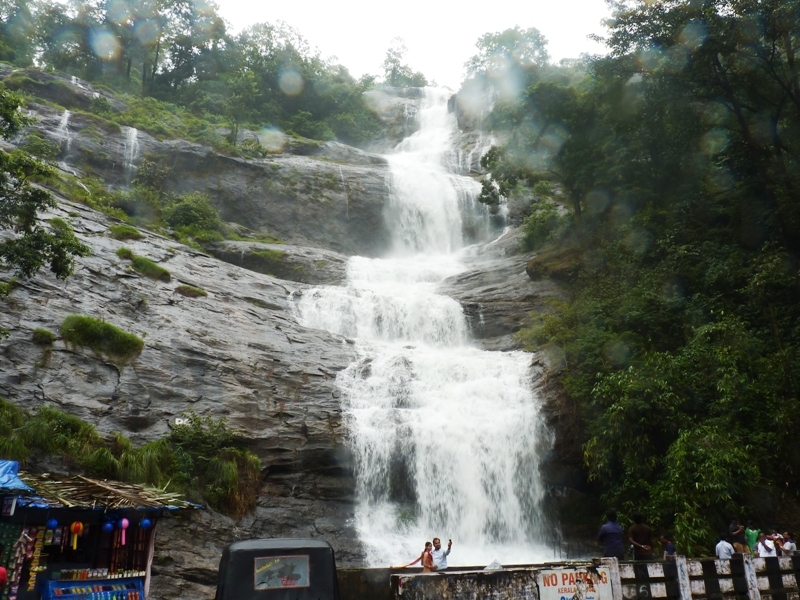 Our next stop was a waterfall, Kerala is well-known for multitude of waterfalls and it was one of them. We took lots of pictures together and together with waterfalls background. Anish was very fond of taking our pictures, once he takes camera; he goes and goes taking snaps. And that’s why we had lots of pictures together. 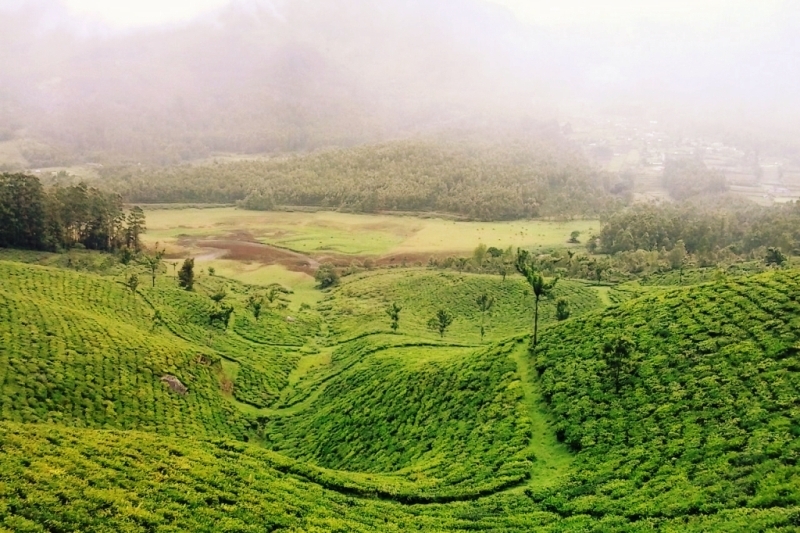 Munnar is a hilly region situated in the western Ghats mountains ranges, the specialty of the place is that its fully covered with Tea Plantations and looks like the whole region is covered with green velvet. Anish was cruising fast above the hill when we stopped him to a nearby Tea stall, and it was the only tea stall on the way on the hill. The picturesque view of the landscape was so eye-catching that we cannot stop ourselves from taking some snaps on the same background while our Tea was getting ready in the stall. We enjoyed for a while, the chilly weather with hot sips of ginger flavored Tea and moved ahead. I saw almost all the resorts which I had seen online, by the side of curvy roads of Munnar and glad to hear from Anish that Bracknell Forest was on top of the hill. Around 3:30 pm we reached Bracknell forest, by that time it was started raining, Jins and other staffs came with umbrellas and escorted us to our room. We met Basil who in purely mallu accent introduced himself and then asked for my ID card for formal verification. He was well-mannered and polite in answering some of my general questions about the facilities over there. The resort was built-in traditional style and equipped with all modern facilities like bigger size rooms with wooden flooring, teak wood furniture, LCD, Free WiFi and hot and cold water facilities in bathroom. Our room was on the first floor, it was spacious with a balcony opening towards the jungle where we can sit together to enjoy hill-side view with small waterfall drifting from the top of mountain. To add to the romance in the atmosphere was the whistling sound made by a Bird named Whistling Thrush which had made their nest on a tree backside of our room, as told by Basil. Hearing whistling sound periodically in background tip-tip music of falling rains was most unforgettable experience that we had in Bracknell forest. Next day we went on for a gentle walk on the hill-side road, the resort was in the cardamom estate so we got the opportunity to see the plantations and also plucked some half-ripped cardamom cloves. As we moved downside the hill we reached the Tea plantation area to see a welcome sign board by TATA Tea. 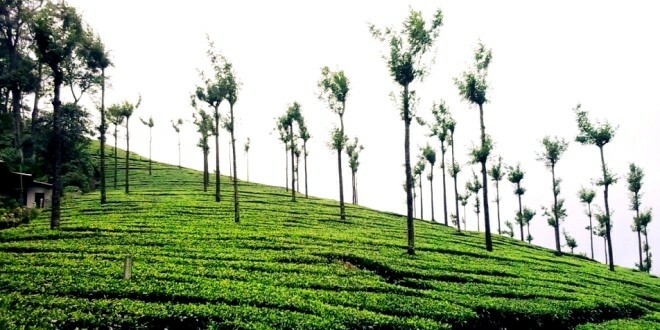 We were in TATA tea estate, the weather was clear and the scenery was compelling, I and my wife were frisking on the slope of curvy road mischievously, and the intermittent rains bringing us time and again together under one umbrella. We thoroughly enjoyed the place and the ambiance as the aroma of tea and its freshness was already present in the atmosphere. We returned to our resort and had stomach full north Indian food well cooked and hot served by Jins. The presence of Kerala spices in food was obvious but the right mix of quantities was making the food delicious. In the evening it was raining heavily, trees were pouring with water, the drifting water on the hills was making deluge sound, it was totally jungle feeling, but the modern facilities in the resort were keeping our zeal high and giving more pleasurable moments inside the room. Third day we had booked Anish for Munnar sightseeing. We started early morning; the first place we went was Rajmalai National Park. 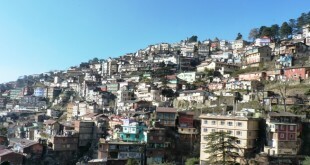 The park is situated in Rajmalai hill; ferry buses are there to carry people on top of hill. 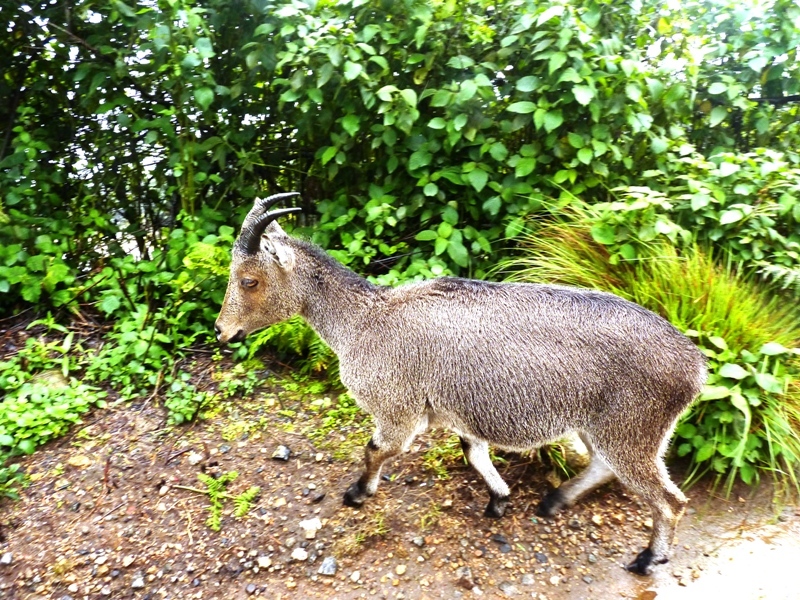 It is famous for its vegetation & rare shrubs, and wild goats; we had close view of these goats and took some photos. There was also a natural waterfall on top. 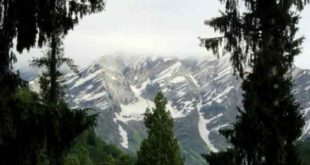 We saw many beautiful spots on the way which can never be found else were in India; those charismatic views of the place are most sought after by the tourist coming from different parts of India. 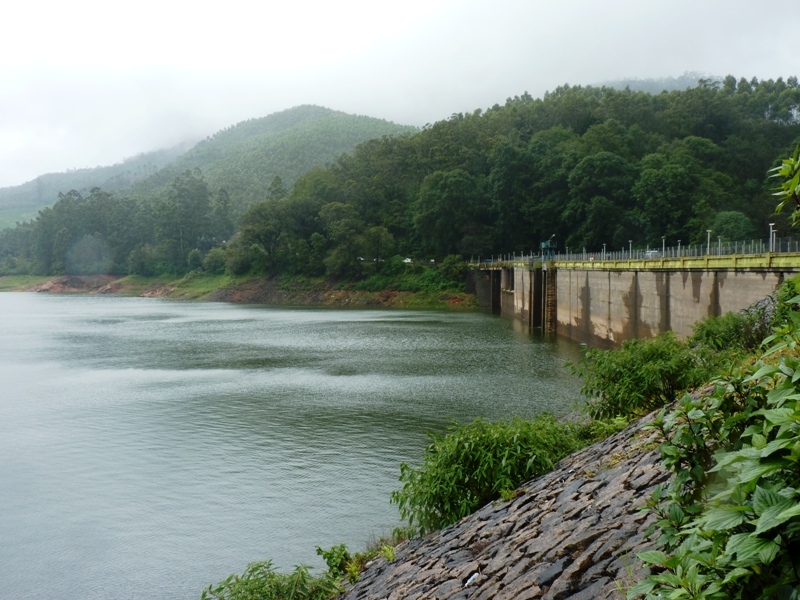 Our next spot was Matupetty Dam; it was nice place with distinct scenic beauty. One can enjoy boating with baked nuts or fish fry. We didn’t try boating but had some cashew nuts and fire cooked bhuttas to satisfy our test buds. It was raining which causes my camera to malfunction therefore I had to taken all photographs from my cell phone only. We went to Echo Point, it is most famous spot as many newlywed couples were seen shouting their spouse names and listening back their echoes. The place was beautiful and the atmosphere was romantic. The joy of tenderness of love after marriage was well observed from different couples present over there. To show my love and manhood, I also called my wife name loudly, but I really loved the echos of her name reflected back many times. Then we went to Kundala Dam. 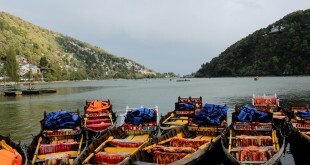 It is also one of the beautiful places because of its location and picturesque vegetation. We had some fun in the water and took some photos seating on the boats. The Most Romantic Place we visited was the Top station, the photographs of the place depicts that you stand above clouds there, but that is happening in winter season. We spotted clear weather with sizzling wind blowing. A small place in the midst of mountain ranges like a flat place on the crater of a volcano surrounded by gorges and mountains. The place was lovely and romantic. By the evening we reached Munnar Town to shop for some Kerala Spices and had bag full of spices and other stuffs. Next day we had to return to Kochi airport therefore instructed Anish to come early morning for departure. We missed some good places in Munnar like Tea processing factory, Churches and gardens but were happy to enjoy our honeymoon by spending some quality time together at such a beautiful place that we can never forget in lifetime. Next day we check out with Basil and thanks him and Jins for his hospitality and comfort they provided in resort. Generally I don’t learn post on blogs, but I would like to say that this write-up very compelled me to take a look at and do it! Your writing style has been surprised me. 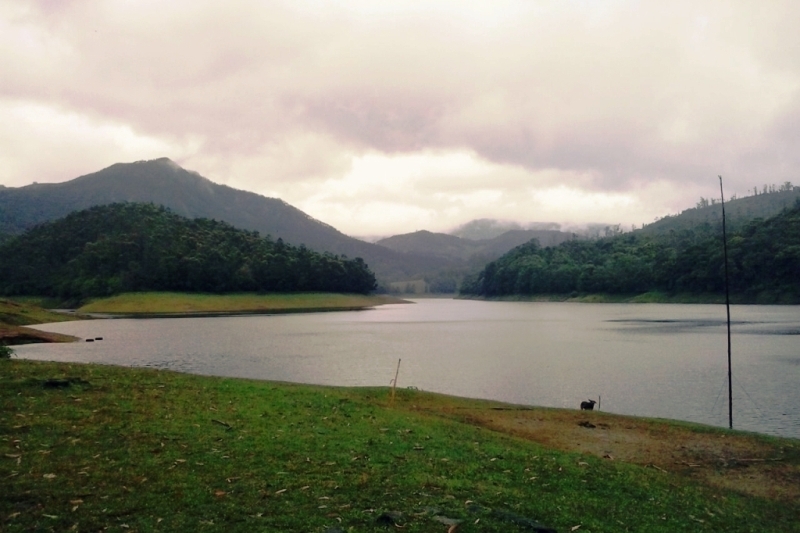 Thank you, very great article.Also visit my page munnar honeymoon.